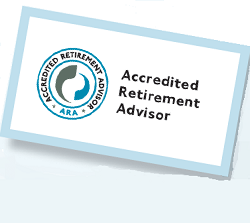 The Accredited Retirement Advisor (ARA) credential recognizes professionals who have a thorough knowledge of topics relevant to retirement planning and special issues of senior citizens including tax planning and tax preparation for decedents, estates, and trusts; and applying your knowledge and skills in real-life situations when serving aging clients. In order to become an ARA, you must pass the 100 question ARA examination which is offered twice a year at testing centers around the country. The ARA Exam is a computer-based test offered twice a year at Castle Testing Centers across the country. You must register for the ARA Exam by the deadline in order to take the exam during a specified testing window. The ARA exam is a three and a half hour, 100 multiple-choice question exam. You must score 70% or better to earn the credential. For more information on the ARA exam visit the Exam Details page. We suggest using the topics listed above to help find webinars and other study materials to prepare for the ARA exam. For more suggested study material please email ACAT at info@acatcredentials.org. The computer-based ARA Exam is proctored at Castle Testing Centers across the country. Castle offers close to 1,000 test center locations that provide testing in a proctored environment. Of the top 100 U.S. cities by population, 99% of candidates are within 15 miles of a Castle testing center. You must register for the ARA exam by the deadline in order to take the exam at a Castle testing center during a specified testing window. Once registered, you will receive a Notice to Schedule/Eligibility Notice email that provides instructions to submit a scheduling request (such notices are sent no earlier than 45 days prior to the testing window). Once you submit your scheduling request, you will receive your Confirmation Notice from Castle via email. This information will include your exam date and time reservation; the address and driving directions to the chosen testing site as well as instructions regarding arrival time; what to bring and not to bring; the rescheduling policy; a link to a generic sample test that demonstrates Castle’s online testing software, PASS, and other important information. ACAT Credential Holders must meet three (3) requirements to maintain credentials: Payment of annual renewal fees, continuing education requirements, and adherence to the Code of Ethics. Details of each can be found here. ACAT is affiliated with the National Society of Accountants (NSA), a resource for information about accounting topics and issues. NSA members provide diversified accounting services to small businesses and individuals across the United States. Learn more about NSA by visiting www.nsacct.org.